Looks like the wolf population in Washington State may be doing better then anyone thought . 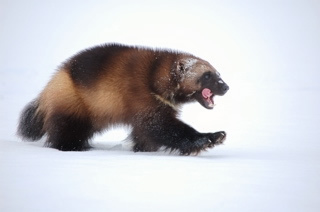 . .
A wide-ranging wolverine study starts up next winter . . . Researchers are working on a plan to study wolverines in four Rocky Mountain states to see if the animals that look like small bears with big claws can be reintroduced to some regions to boost their numbers and see how they might travel between mountain ranges. Montana, Idaho, Wyoming and Washington state are working together because there are so few wolverines and they are spread across a wide area, a researcher with Montana’s wildlife agency said. “It doesn’t occur that often that four states start to think about managing a species together,” said Bob Inman, carnivore and fur bearer coordinator for Montana Fish, Wildlife and Parks. 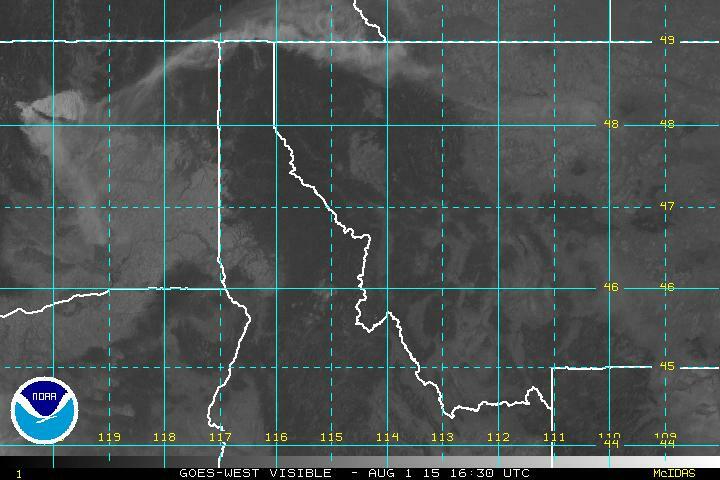 In case you’re wondering, that pall of smoke drifting through our area at a fairly high altitude is from fires in Central Washington State. Gray wolves seem to be making a steady recovery in Eastern Washington . . . The state says Washington’s wolf population grew by more than 30 percent last year and formed four new packs. 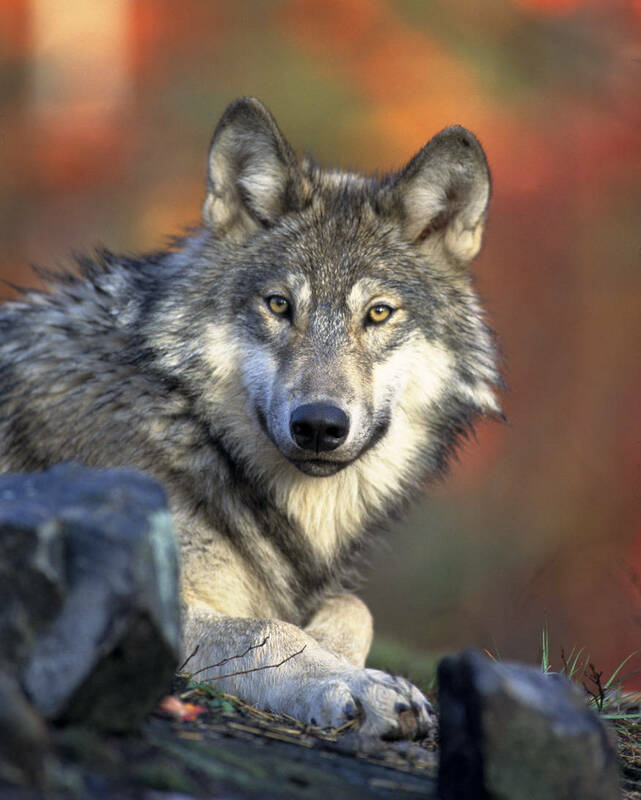 The annual survey by the Washington Department of Fish and Wildlife found at least 68 gray wolves in the state through Dec. 31, 2014. That was up from at least 52 wolves counted in 2013. The state also found there are now 16 wolf packs and at least five successful breeding pairs. This is kind of interesting. Near Spokane, Washington, they have issues with nuisance moose and employ many of the same techniques we use around here to deal with nuisance bears . . .
To euthanize or tranquilize? That is the question state wildlife officials must ask as a last resort when moose become a high-risk threat to humans. Spokane officers have had to answer the question several times this winter. The Fish and Wildlife office in Spokane receives hundreds of moose-related calls or complaints a year, Rahn said. Looks like Washington’s Cascade Range may be getting some grizzly bears . . .
A tentative federal proposal to restore grizzly bears in the North Cascades will be explained at public meetings next month. The North Cascades ecosystem encompasses 9,800 square miles in the United States and another 3,800 square miles in British Columbia. The United States portion includes North Cascades National Park, Ross Lake and Lake Chelan national recreation areas plus the Okanogan-Wenatchee and Mt. Baker-Snoqualmie national forests.